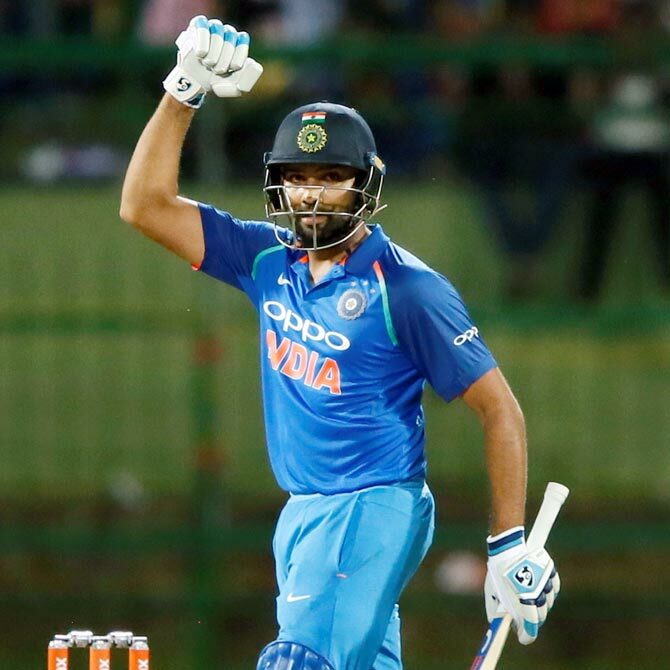 Rohit Sharma once again showed his class in the limited overs format with a stylish unbeaten 124 as India took an unassailable 3-0 lead with a six-wicket victory in the third ODI, which was marred by unruly crowd behaviour, in Pallekele, on Sunday. 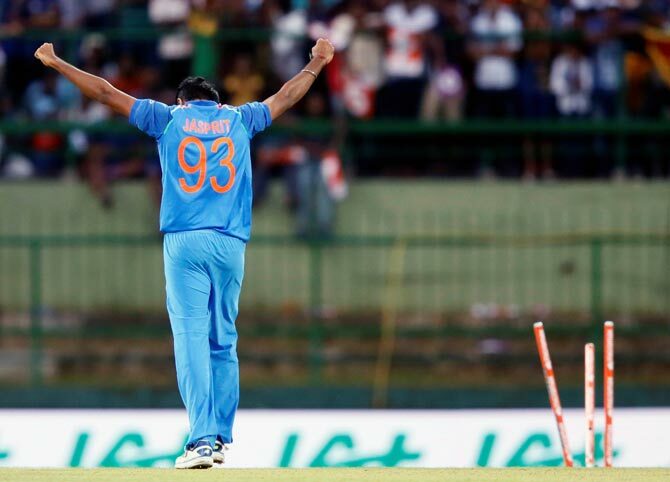 Sensing another meek surrender from the home team, the crowd went berserk as they started throwing water bottles at the end of the 44th over, forcing a 35-minute stoppage before India completed an easy victory. 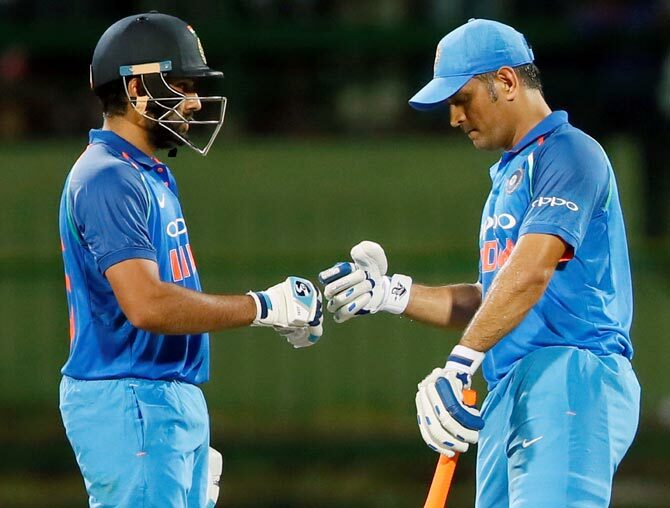 Rohit was assisted by former skipper Mahendra Singh Dhoni, who hit a composed 67 not out, content to play the second fiddle to perfection in an unbroken 157-run stand with India reaching the victory target of 218 in 45.1 overs. It was the seventh successive bilateral series victory against Sri Lanka. India last lost a ODI series to island nation in 1997. India's batting depth came to the fore for the second successive time after form-man Shikhar Dhawan (5), skipper Virat Kohli (3), KL Rahul (17) and Kedar Jadhav (0) were back in the pavilion. However, Rohit did not gift his wicket away like in the previous ODI as he played an innings contrary to his attacking nature of batsmanship. He faced 145 balls, hitting 16 boundaries and two huge sixes. 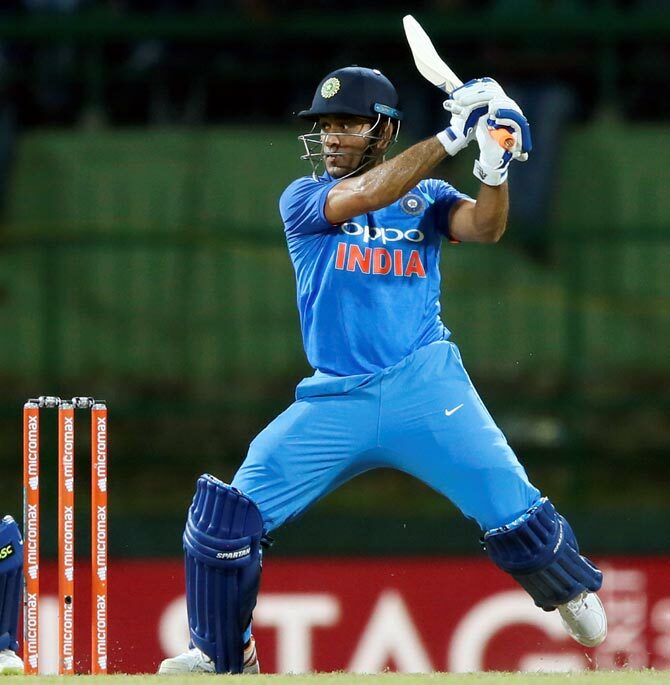 Dhoni's 65th ODI half-century effort saw him face 86 balls, hitting four boundaries and a six off left-arm spinner Milinda Siriwardana. Dhoni started off with ones and twos, giving Rohit bulk of the strike and bringing in the necessary calm that is always expected of him. Sri Lanka will have to win their last two games in order to remain in contention for an automatic qualification for the 2019 World Cup. Dickwella survived a leg before wicket appeal via the DRS review in the fourth over, but four balls later Bumrah got his man in the same manner as he was trapped leg before. After the in-form Dickwella's dismissal, Sri Lanka struggled to get going and were soon reduced to 28 for two in the eighth over, with Kusal Mendis (1) caught at second slip. Rohit Sharma took a great diving catch to his right, plucking his 100th catch in international cricket. Chandimal and Thirimanne calmed things down and put on a solid partnership in the middle overs for a change. The duo brought up their 50-stand off 72 balls with Sri Lanka crossing the 100-mark in the 26th over. Chandimal was hit on his right thumb fending a short delivery off Hardik Pandya in the 17th over, and that incident partly hampered his ability to shift gears. Looking for some attacking shots, Chandimal holed out in the deep off Pandya in the 26th over itself. India had a poor day in the field with a lot of missed chances and barring Rohit’s attempt, they looked far from a great fielding unit. Part-timer Kedar Jadhav (1/12) showed his utility with the ball as he got Angelo Mathews leg before wicket in the 35th over. 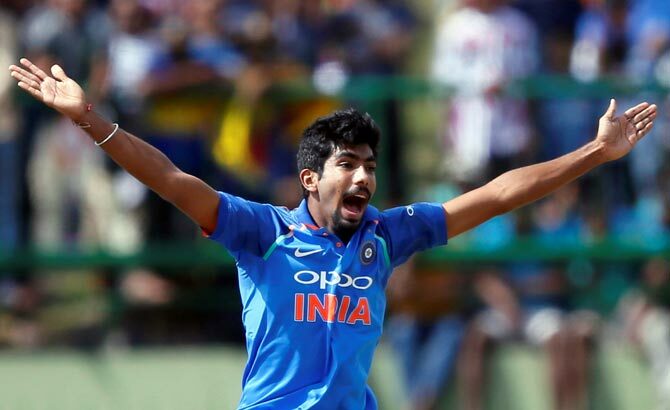 The big blow came when five overs later Thirimanne was caught at midwicket off Bumrah after he was deceived by a slower ball. Sri Lanka were reduced to 181 for six in the 44th over with Patel bowling Kapugedara (14) as the lower order failed to kick on once again. It was a familiar story with Akila Dananjay (2) and Milinda Siriwardana (29) following him to the pavilion shortly thereafter, both bowled by Bumrah on either side of a short rain break. PHOTOS: What an amazing fightback!